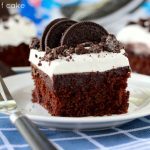 Cake Mix Oreo Bars are the ultimate and best cake mix recipe! 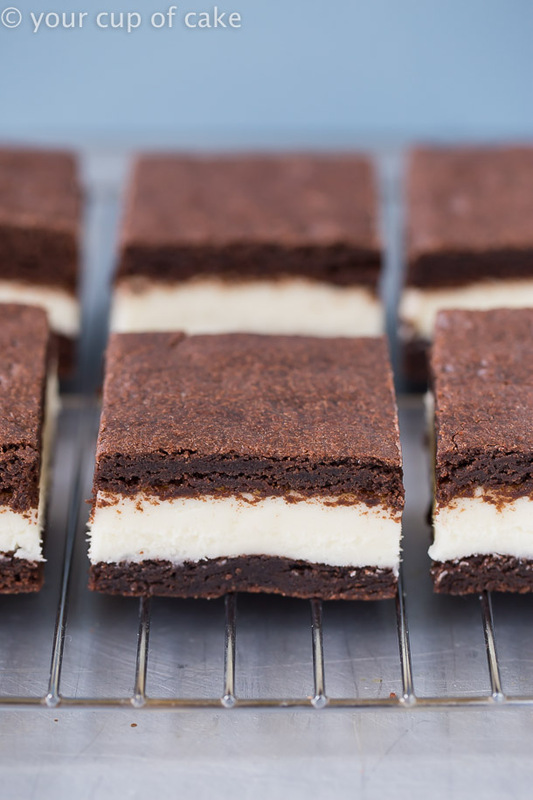 Soft, fudgy, chocolatey and filled with a layer of cream cheese frosting. I love Oreos. 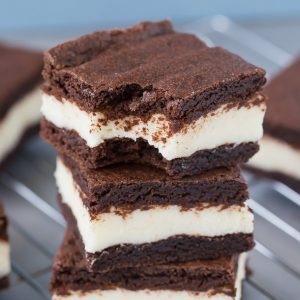 I’m a child of the 90’s and I feel like all my memories growing growing up included a cold glass of milk and a stack of those black and white cookies. When I’m headed to a party, I always bring my number one requested treat along… Homemade Oreos. 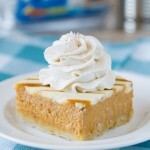 No matter where I go these disappear quicker than any dessert and everyone begs me for the recipe! I even had a bride request them for her wedding and people kept coming into the kitchen looking for more! 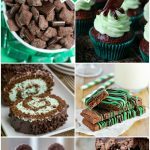 I love making my Homemade Oreos but I wanted to reinvent the recipe to be a little less time consuming. No rolling out dough balls, no piping bags, no fuss! So my Cake Mix Oreo Bars were born! 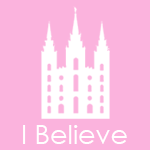 And oh my, I’m obsessed. This experiment just killed any plans of a summer diet… whoops. 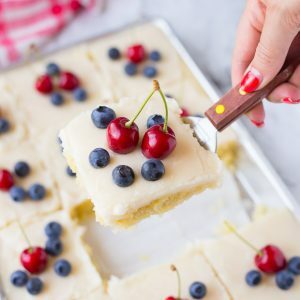 Cake mix desserts are great! These went into the oven in about 5 minutes and while they baked I whipped up the frosting! 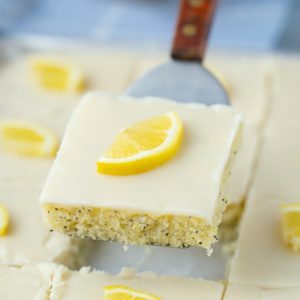 I used a small sheet pan but you can double the recipe and use a regular sheet pan, use two cake pans, or even just use a regular sheet pan and only press out the dough to one side. Remember, this is cookie dough still, so it won’t spread out like cake batter would! 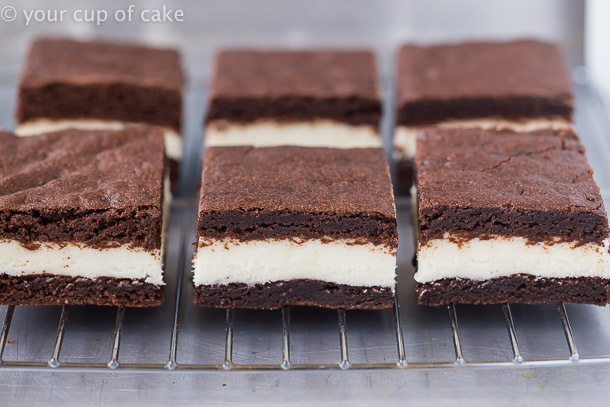 The goal is to be able to cut your finished bake in half and then sandwich them together with a layer of cream cheese frosting! It was so simple to do! I used a little parchment paper under my bake to make sure it lifted off easily enough, and presto! My Cake Mix Oreo Bars were assembled! 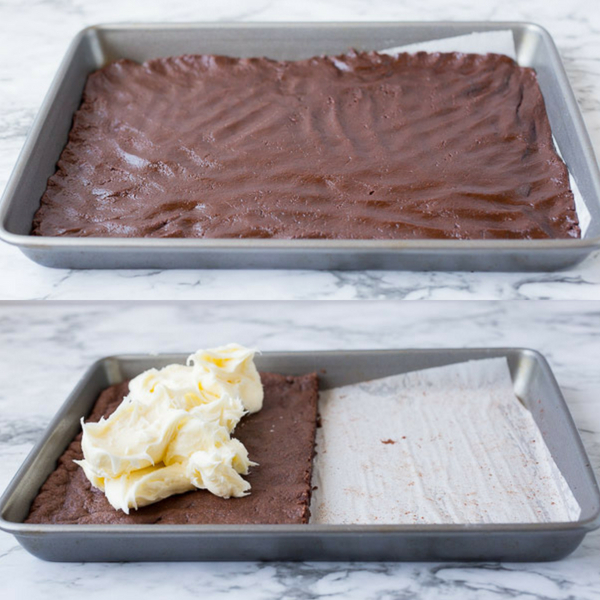 You could even use two loaf pans to create the same effect, but I wanted to make sure this sheet pan method worked! It was really easy to place the other half on top without it breaking! Okay, I tell people this all the time. 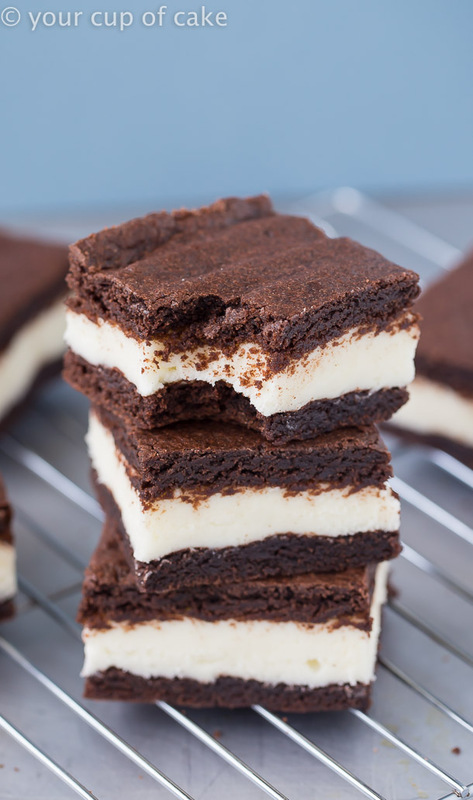 Serve your Homemade Oreos and these Cake Mix Oreo Bars cold! This will keep the frosting from gushing out when you bite into them and plus, they taste way better cold! My second tip would be to not over bake the cookie part. This dough really doesn’t take long to bake and you want it to be on the fudgy side anyway. I got these perfect cuts in my bars because I let them chill for at least 20 minutes! 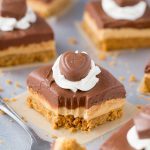 This is a great dessert to make the night before a party because it can hang out in the fridge all night long! 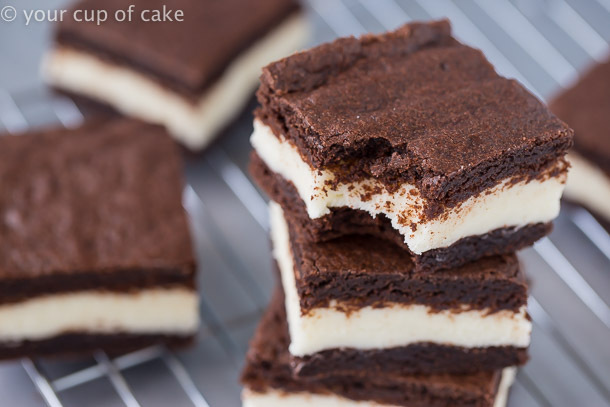 These Cake Mix Oreo Bars are rich! I cut them in these big squares for photos but when I took them to a party I cut them all again to make little rectangles. 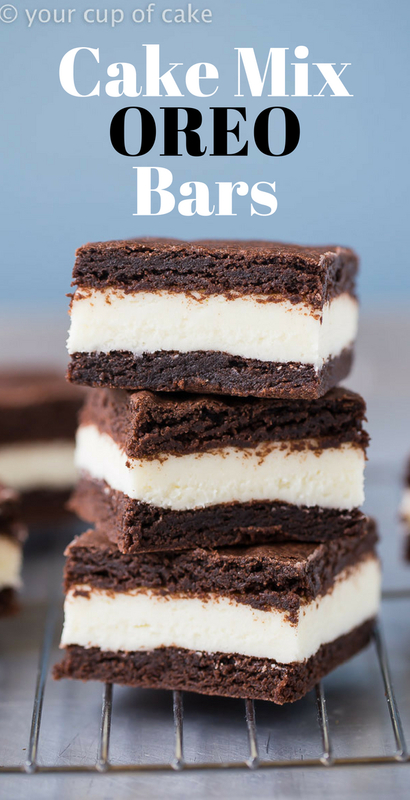 I haven’t seen anything like these Cake Mix Oreo Bars on pinterest or google so I may be the first to invent, but just watch out because they’ll be popping up at parties from now on. They’re my new go-to treat! 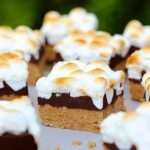 They’re quick and easy to make and will steal the show! 1. Preheat oven to 350 degrees and line baking pan with parchment paper. 2. Combine cake mix, eggs and oil. Dough will be thick. 4. Bake for 10-15 minutes! These will be fudgy cookie bars! 5. Let cool in pan. 6. Filling: Beat butter and cream cheese until smooth. Add vanilla extract and 2 cups powdered sugar. Continue to add sugar until you reach your desired sweetness. Remember that the chocolate layers will be sweet so the filling can be less sweet to balance it out. 7. If you baked your dough on one pan, cut the bake in half and frost one on the halves. Then place the other side of the bake on top to sandwich the two together with your layer of cream cheese filling in the middle. 8. Let chill in the fridge for at least 20 minutes and then cut into bars. These are very rich, so I recommend small slices! I also recommend serving them cold! 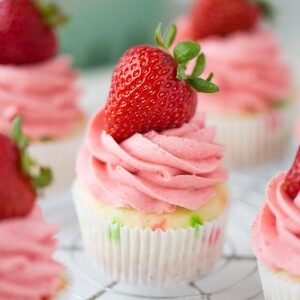 I want one, right now!! Something is very wrong with this recipe. I had to throw it out. Cooking for only 6 minutes left the thick chocolate cake raw in a 9×13 pan. I added another ten minutes, but cake was still wet. Also, I lined with parchment, and the cake stuck to the paper. I won’t make this again, but if others do, line with nonstick foil or spray the parchment. I have made this cake several times with no issue! I’m so sorry you had problems. 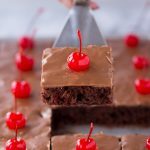 It sounds like you were using WAX paper and not parchment paper, you NEVER want to bake with wax paper! Parchment paper never sticks to anything! Also, do take the recommendation in the recipe to use a Pillsbury Cake mix! 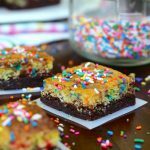 The cookie bars are supposed to be fudgy and not like a fluffy cake! 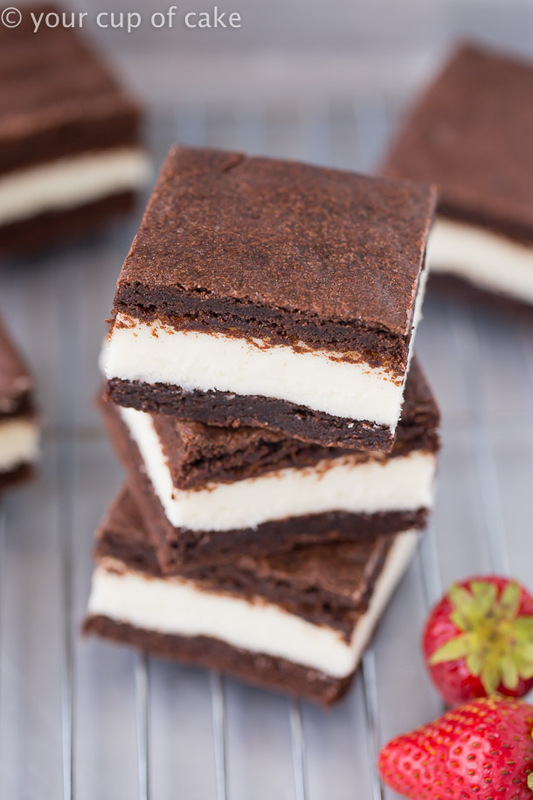 I just love to eat Oreo bars. It looks really delicious with cake. The “cook time” and “total time” are wrong on the recipe card. 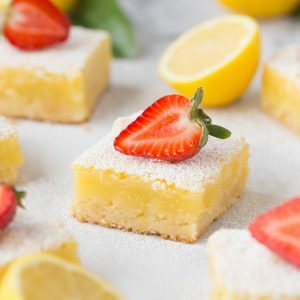 I have not made this but I make another quick cookie bar recipe with the same ingredients and it has to cook AT LEAST 20 minutes to be done… not fluffy, just not raw(EGGS!). Also, you suggest various pan sizes which would dramatically change the cook time required but you don’t make any suggestions on those adjustments. 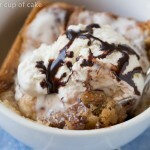 This looks good… but the directions require some work to ensure success.